!! OMG, It’s Monday! Hosted by Unkle Karl’s gap-TOOF grin !! As one of the world’s most noted purveyors of style, Karl Lagerfeld sets the bar for what’s next! Which is why people are rushing to get themselves GAP TOOFED this week after Kunty Karl has shown us what’s next, once again! 3 Comments on "OMG, It’s Monday! 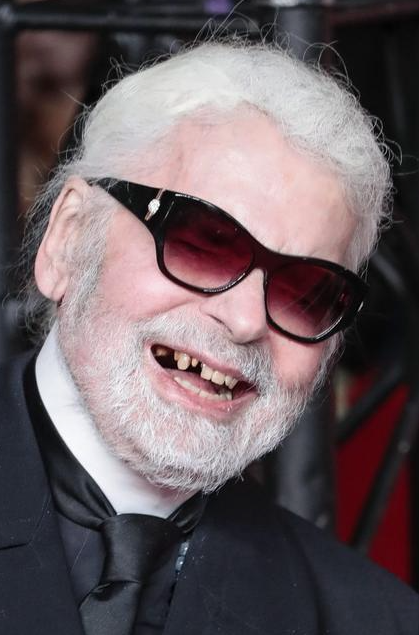 Hosted by Unkle Karl’s gap-TOOF grin"
You can’t be serious… people are pulling their teeth to be in style? Well THAT is certainly a career-limiting look!